Crowd at 2017 March for Life, Washington, D.C. In 2014, the networks spent 46 seconds to cover the hundreds of thousands marching in Washington, D.C. Yet, ABC, NBC and CBS spent four-and-a-half times that on the Climate March. In January 2016, tens of thousands of Americans filled Washington, D.C. for the annual March for Life. During their nationally broadcast news shows following the march ABC, CBS and NBC totally ignored the event – except as a casual reference to a group stranded in the snow. ABC’s mentions amounted to 35 seconds. ABC, CBS and NBC spent more than 20 minutes on the march. The difference? President Trump, according to the networks themselves. 21 minutes, 52 seconds of coverage to Friday’s 44th annual March for Life 2017. 1 hour, 15 minutes, 18 seconds (3.4 times more) enthusiastically covering the recent Women’s March on Washington, which opposes the election of Donald Turmp. To put that in perspective, the networks spent almost 23 minutes on the anti-Trump women’s march – before it even happened. But their nearly 22-minute coverage of the 2017 March for Life was still an improvement. ABC was the only network to mention the 2016 March for Life – for a total of 35 seconds. ABC, CBS and NBC combined covered the 2017 March for Life 37 times more than the 2016 March for Life. And the theme that united every news report was President Donald Trump, whether in regards to his impending Supreme Court justice pick and his pro-life policies or the new administration (including his vice president Mike Pence). This year’s March for Life boasted Vice President Mike Pence and White House counselor Kellyanne Conway as speakers. The largest annual march in Washington, D.C., the March for Life laments abortion and celebrates human life around the anniversary of the Supreme Court’s 1973 Roe v. Wade decision. It was the first time a vice president ever spoke at the march. And while the president didn’t attend, he tweeted his support and challenged the press – in an interview with ABC anchor David Muir – to cover the march. 1. 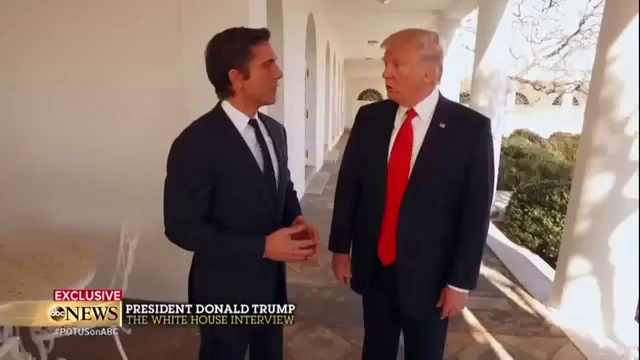 During his interview with President Trump, ABC’s David Muir asked about the anti-Trump Women’s March. When responding, President Trump mentioned that the press doesn’t cover the pro-life March for Life. Why do you think the media spent so much more time covering this year’s pro-life march (which was held a few days after the interview)? Was it because President Trump called them out on it? Explain your answer. 2. The media labels those who support abortion as “pro-choice,” but labels those who support life as “anti-abortion,” not “pro-life.” What effect do you think this type of labeling has on a viewer’s perception of each group? 3. Fifty-three percent of Americans are Protestants, 22 percent are Catholics. The Catholic church is pro-life and opposes all forms of abortion. Many Protestants, Jews and Muslims are also pro-life. 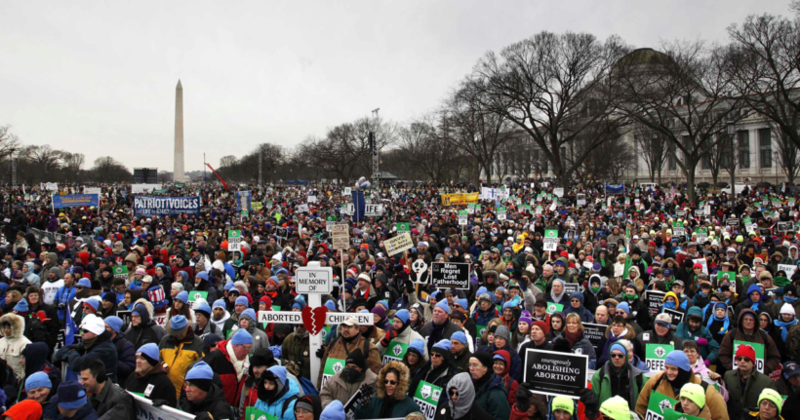 Why do you think the media generally ignores the annual March for Life? Explain your answer.